visitors may interact with forestry professional and seek information about forestry. Dr. A.K. 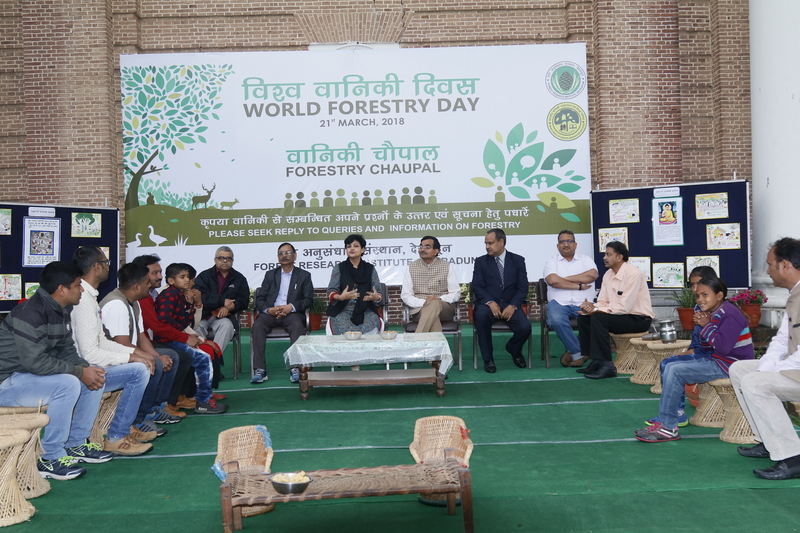 other edible mushroom cultivation and many others through the exhibition and Forestry Chaupal. during the first hour only. A panel of scientists and subject experts of the institute including Dr. V. K. Varshney, Dr.
Amit Pandey, Dr. Sudhir Singh, Shri D. P. Khali, Dr. Santan Barthwal, Dr. A. K. Pandey, Dr. Besides, all museums of Forest Research Institute remained open at free of cost for all visitors.